When a printed circuit board (or PCB) fails or malfunctions, do you repair or replace it? Unfortunately, most organizations don’t have the time or the resources to try and repair PCBs and opt to purchase a new one. This is generally done because it used to be time-consuming and expensive to try and figure out what was wrong with it. This has changed with a growing number of organizations deciding to offer PCB repair services, making fixing your circuit board more affordable. There is an abundance of manufacturers who are eager to repair your PCB. But be careful who you entrust with your repair work, not all are going fulfill their promise with honest and effective repairs. Find a manufacturer who has IPC trained and certified technicians with the knowledge and expertise necessary to address any faults or issues with it. Another thing to keep in mind is that you don’t always know if a company made the PCB to spec to begin with or if high-quality components were used, or if it was even properly tested. To avoid these costly mistakes, it is crucial that you take the time to do your research and find a reputable manufacturer who will stand behind their work. When you take the time to find a manufacturer that offers IPC quality repair services, you’ll save money. 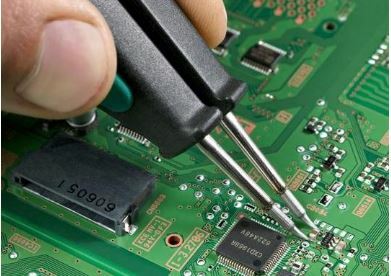 Additionally, quality PCB repair services will take great care to use the highest quality parts available, ensuring that your electronic device lasts longer. Having quality, dependable equipment and devices allow you to focus your energy on growing your client base, offering quality service, and improving your business overall. One of the biggest advantages that PCB repairs offer is their environmental-friendliness. They promote recycling of old parts, allowing your business to leave a smaller carbon footprint. While not every circuit board can be repaired, consider it before purchasing a new one. At BestProto, we specialize in creating new PCB boards and providing quality repair service that you can count on!